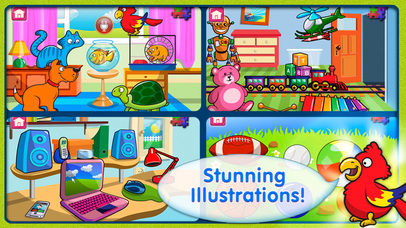 --> Learn vocabulary while playing with pets, toys, vehicles and more! 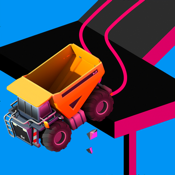 --> Fully interactive - Complete each puzzle and watch it come to life! 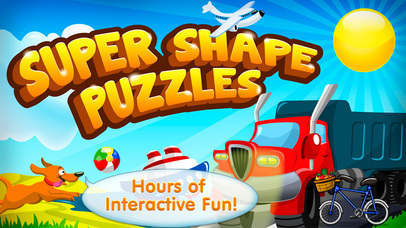 This great shape puzzle app offers a fantastic collection of everyday objects. When your kid puts any part in its corresponding place, he or she will see the words and hear their pronunciations. Very educational, with lovely illustrations, special effects and sounds... and it's waiting to be discovered now! 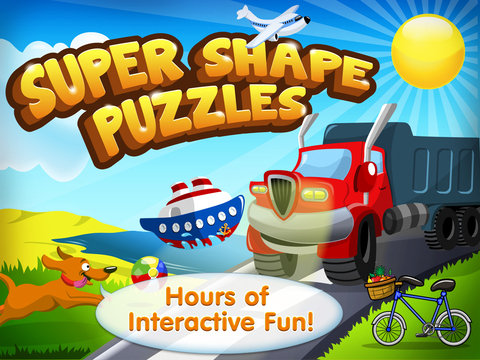 Super Shape Puzzles is a fun, interactive, engaging and valuable puzzle game guaranteed to entertain and educate your children. 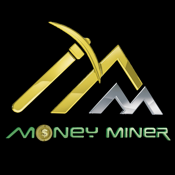 Carefully designed for children of young ages, this puzzle game is filled with exciting, playful activities throughout all stages. 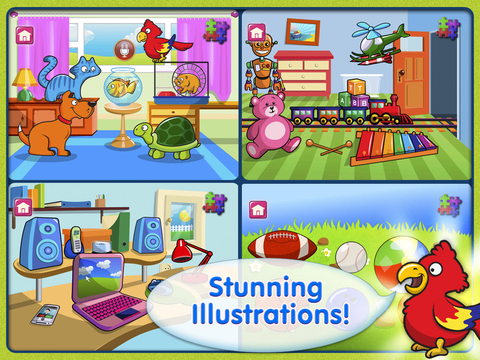 Get ready for some great fun when interacting with the adorable puzzle items. When a puzzle is completed players are rewarded with a variety of "celebrations" and interactions. The fun matching activities help improve visual perception, knowledge of shapes & also develop fine motor skills by dragging and dropping puzzle pieces into their matching holes. 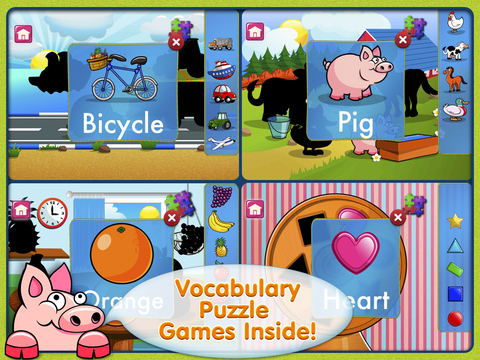 --> Vocabulary – learn the word that corresponds to each shape of the puzzle. 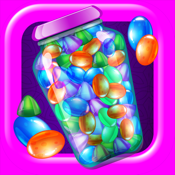 --> Fun interactive activities right after completing each puzzle. 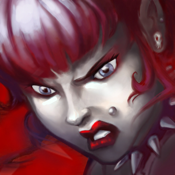 --> Cute characters filled with humor and surprising interactions.